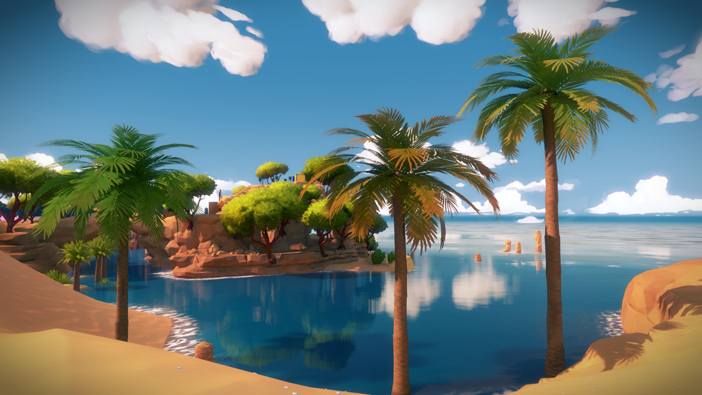 Jonathan Blow, the creator of 2008’s smash hit Braid, now teams up with Thekla, Inc. for The Witness, a 3D first-person puzzle game set on an a gorgeous, cel-shaded abandoned island. 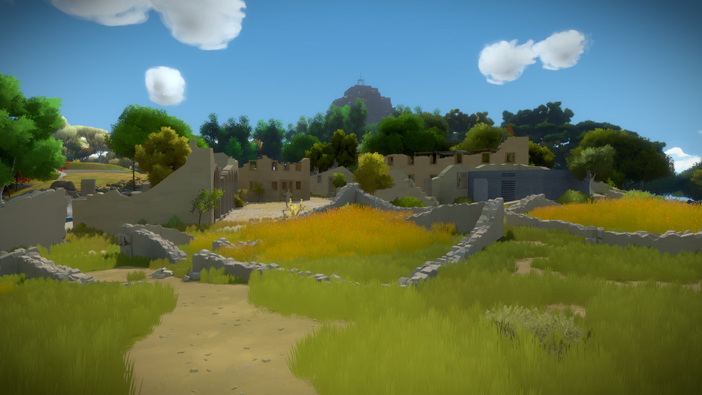 Set to be released sometime this year for the PC, iOS, and PS4, The Witness lets gamers explore a barren island as an unnamed, unarmed character with amnesia. Sure to draw comparisons to Myst, players must guide their character through themed areas full of puzzles, find scattered audio recordings, and figure out how and why this situation came to be. The game’s trailer is quite impressive – it shows off the game’s graphics and sound design as it features an elegantly arranged medieval-themed folk track and many of the island’s vivid regions. 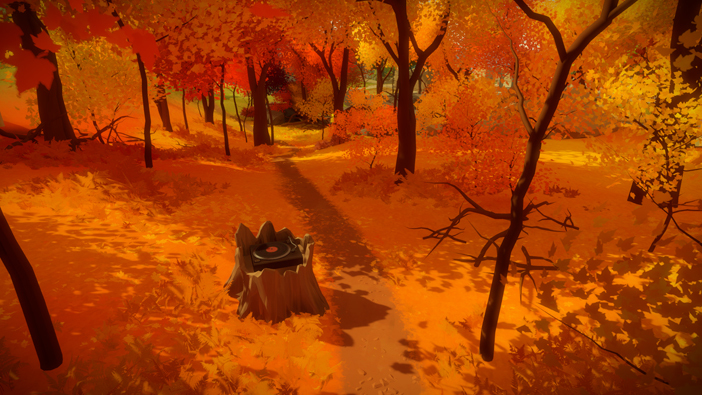 The backdrops of The Witness come from the minds of game architects Deanna VanBuren, Digo Lima, and Nicolaus Wright. Together with the game’s conceptual artists, they’ve crafted an intricate world split into ten sections filled with lush landscapes, desolate buildings and castles, and scenic tropical woodlands. Reminiscent of Capcom’s Okami, the game’s cel-shading adds to its beauty, giving it a smooth, opulent polish, making exploring every nook and cranny of this sandbox-style puzzler a must. The sounds effects are naturalistic and atmospheric, in keeping with the game’s tranquil vibe, but no information about the soundtrack or its composers has been released. In an interview with GamersPrey HD, Blow said the game features over 700 puzzles and will have 30 to 40 hours of gameplay. 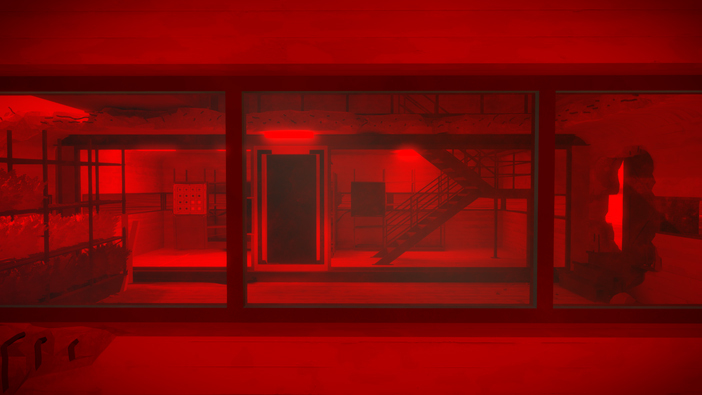 Said gameplay, which consists of first-person exploring and finding coded panels, appears simple and to the point. Cracking the panels might be a tougher challenge though, as the puzzle’s patterns are left for players to figure out for themselves. Most of the puzzles follow the same pattern – gamers must trace a path through a maze on a panel, the goal being to find the correct way through. 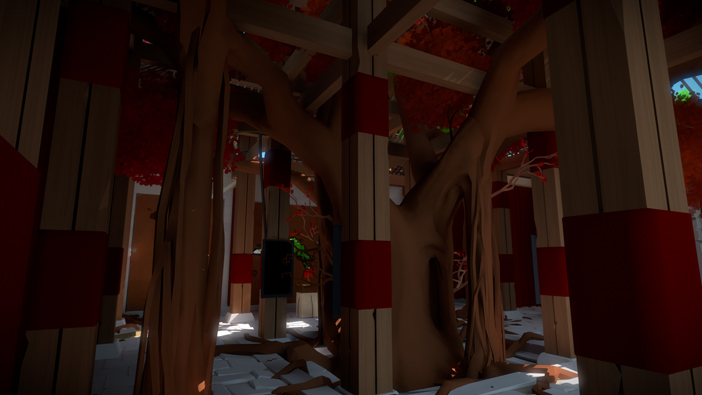 Some puzzles will appear directly in the game’s architecture, such as elemental symbols that will appear as decoration on walls or tree branches that mimic paths. According to Blow, these puzzles are what hook gamers. “The mazes aren’t just puzzles, they are lines of communication that aggregate,” Blow said in an interview with Eurogamer. 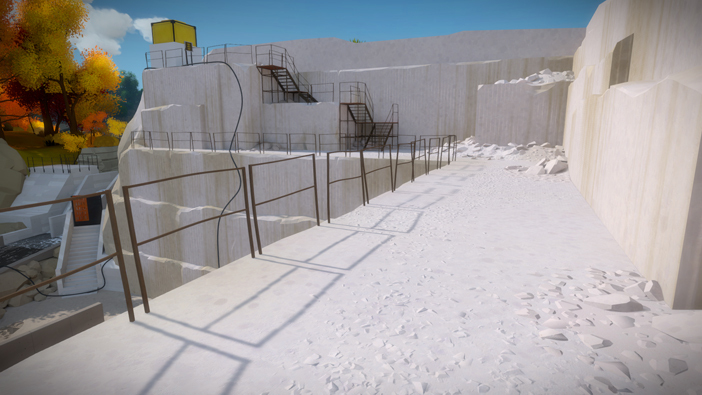 “[They] become more complex and eventually say surprising things.” However, 30 to 40 hours of gameplay for an open-world game without any action or direction may prove to be daunting for some gamers, as most sandbox-style games generally feature gunplay or interactions with other characters. 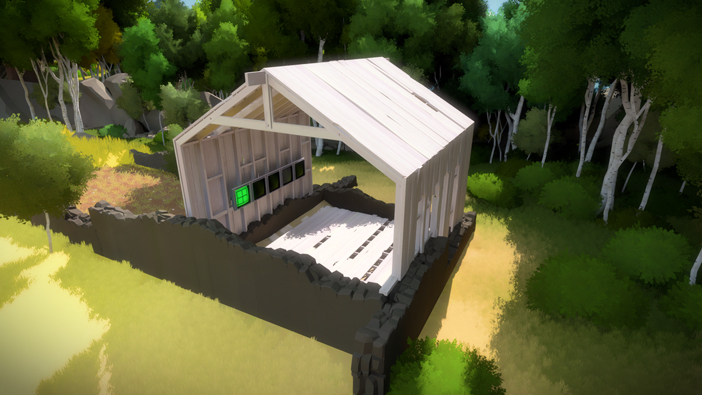 The Witness should provide ample amounts of entertainment for the patient gamers who enjoyed Portal and the puzzle segments of Half-Life. 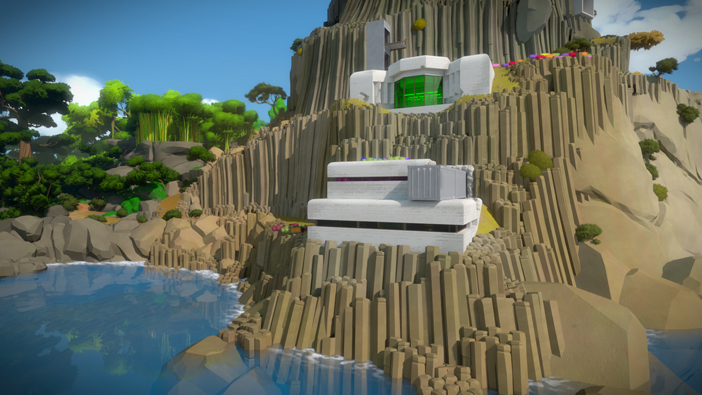 But fans of fast-paced action shooters may find themselves growing weary during The Witness, as this game is akin to taking a mellow cruise to paradise.